We're very excited to present our Fall Flavor Releases to you! 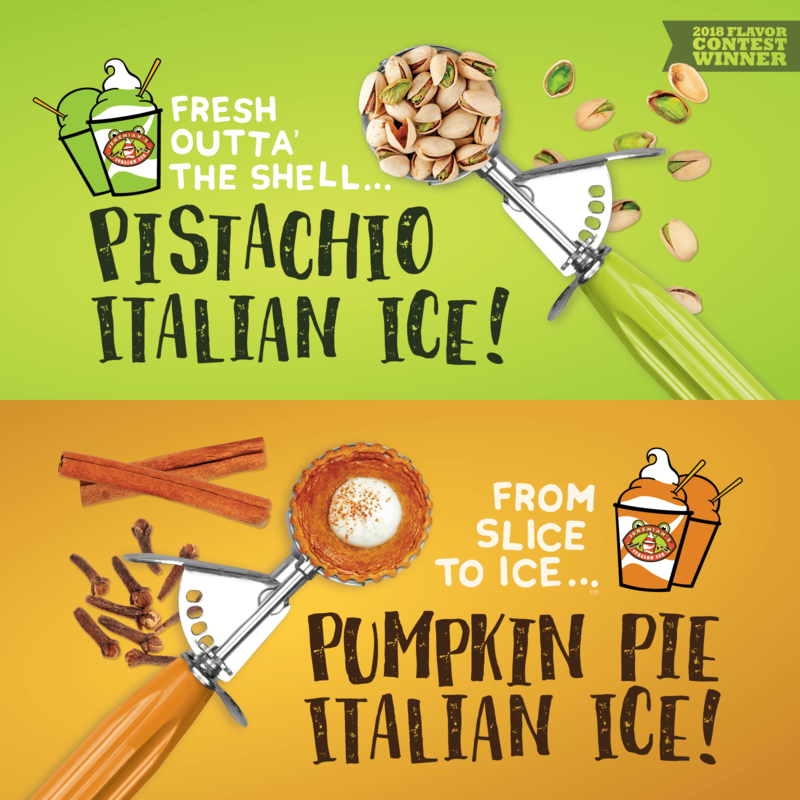 Drop by your local Jeremiah's Ice to scoop up a taste of our favorite seasonal flavor, Pumpkin Pie Ice OR our newest creation, the winner of our 2018 Flavor Contest, Pistachio Italian Ice! Our Pumpkin Pie Ice is a classic taste of the Fall with an indulgent Jeremiah's twist. We recommend our Pumpkin Pie Ice layered with our creamy Soft Ice Cream in a Jeremiah's Gelati... our version of pumpkin pie à la mode! And you'll go nuts for our Pistachio Italian Ice! We're excited to present this tasty new concoction and want to thank the individuals who nominated this flavor and claimed their flavor fame in our 2018 Flavor Contest!